comprare viagra generico pagamento online a Napoli I wanted to share some of the beautiful skies here in northern Arizona a few nights ago. 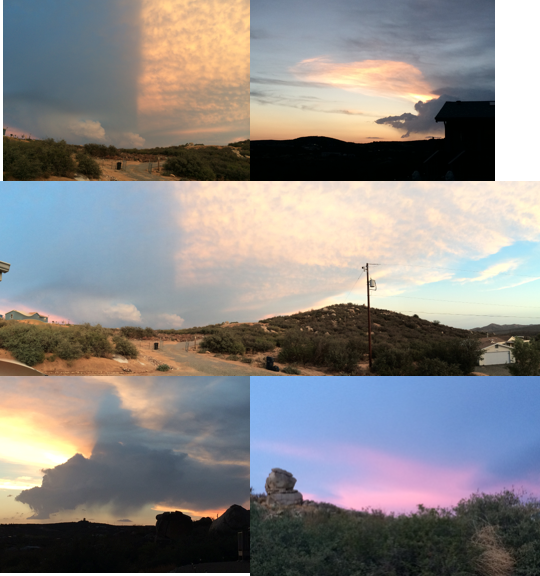 These pictures were all taken within 10 minutes, from all different directions. They are amazing how the sky changes. You can see the many differences in the panoramic picture in the center. go here Just before sunset, go outside and see the beauty above. At sunrise, go outdoors and look to the skies to see what’s there. go to site The colors, the shapes, the beauty. Do you see the dragons? Do you notice the cotton candy? It’s all there if we take the time to look and enjoy. acquistare levitra senza ricetta Napoli Enjoy these Beautiful Skies.